The Clevo NB50TZ/NB50TK1 laptop is a stable device with business appearance. Unique about this laptop is its processor: this model uses an 8th generation Intel Core desktop processor of the Coffee Lake generation, for the best performance. Configure this laptop with only Intel HD Graphics as video card, or choose the GTX-1050 Ti video card for gaming and photo/video editing. Delivery time: Quick delivery. Please see the configuration list for a precise indication. Choose a processor, which fits your needs. The Intel Core i5 processor is a fast one, however, the Intel Core i7 is slightly faster. A better video card means less hitches and clearer images and videos, as well as more beatiful game graphics and faster rendering of 3D content. Choose one of the GTX-series if you would like to game. Op dit moment alleen beschikbaar als NB50TK1-variant met GTX-1050 Ti videokaart. Have a look at the delivery time for your configuration below. This configuration is directly available. Delivery time: 1 to 3 business days. If you order today, your laptop will be delivered at or between and . *Provided that we received your payment today. Deliveries outside the Benelux and Western Germany may need more transit time, depending on the delivery country. This laptop has two memory slots, Dual Channel for 2666 MHz DDR4 memory. Please choose your preferred memory here. A PCI-e M.2 SSD chip is a faster alternative for the regular S-ATA storage drive and uses an M.2 PCIe slot. A PCIe SSD chip is even faster than a S-ATA SSD. If chosen, your operating system (OS) will be installed on this chip. 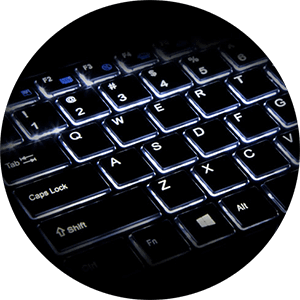 Please select the kind of keyboard background illumination which fits to you. 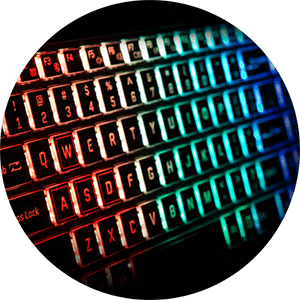 You can choose between a Multi-Color or a Single-Color backlit keyboard. The single color backlit version only gives white background illumination, while the Multi color (RGB) version can illuminate the keyboard at 3 zones, in every color (blue by default, but adjustable with the Windows software). The background brightness of the keyboard is always adjustable. 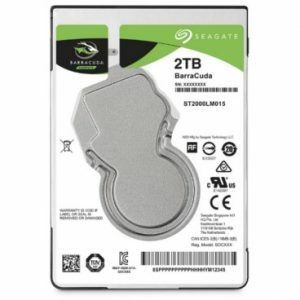 You need two M.2 storage chips to get RAID installed. We recommend to use two the same PCIe SSDs. Would you like to get a RAID configuration installed? You could chose a Hard Disk Drive (HDD) or Solid State Drive (SSD) for the operating system or for additional data storage. Processors and video cards need thermal paste for optimal thermal conduction and performance. We always replace the default manufacturer thermal paste as we believe it does not conduct enough. We apply Phobya Nanogrease Extreme, which conducts heat better. The temperature decreases around 6 degrees Celsius. Please choose the Thermal Grizzly Conductonaut Liquid Metal for intensive use and even lower temperatures. Here you can pick a M.2 WiFi module. There are different types for different purposes. Please note: This WiFi module has only suitable drivers for Windows 10 at the moment. There are currently no drivers available for GNU/Linux operating systems. If you will ever use Linux on this laptop, please choose the Intel AC-9260 adapter. You can choose between Windows and a GNU/Linux operating system. As an alternative, you can also install the operating system by yourself. Even a Dual Boot with multiple operating system is possible to configure. Please note: If a Nvidia graphics card is chosen (second or dedicated GPU), we do not give support for Nvidia proprietary drivers in combination with Debian. In case you would like to use the Nvidia proprietary driver, please choose an Ubuntu based operating system (such as Ubuntu, Kubuntu, Linux Mint, and so on). Which operating system will you use the most? Which operating system will you use alongside the primary operating system? How much percent (%) of the available storage capacity may be assigned to the primary OS? The other available space will be assigned to the second OS. Please fill in your notes about the partitions, if any. For example: Debian on the SSD, Windows 10 on the hard drive. A non-used partition is possible as well. No idea what to fill in below? Then please leave it blank, so we will set-up the system to the best performance. Which language should be primary at the installed OSes? Which user name (name of user of the OS) would you like to be set up? Please choose a user name and fill it in below. If you have any special request for your new laptop, you can leave it here. Would you like to have an OS pen drive, so you can reinstall your operating system in the future? You have the option to pre-install additional software. We only supply clean laptops, no malware, bloatware or extra software that you did not ask for. Please choose the web browser which you'd like to be installed. Below you can choose an Anti Virus or Internet Security application to protect your computer. Please choose the keyboard language which fits to your country. Have a look at our accessoires below. Here you can buy laptop bags, external optical drives, mice, mouse pads, headsets, external HDDs and external SSDs alongside the laptop itself. Here you can choose a laptop sleeve, shoulder bag or backpack for your 15/16 inch laptop. Here you could pick a spare battery, for example for on vacation or on the way, so you can work longer without the need of a power adapter. Do you take your laptop with you regularly? Here you can pick an additional adapter (charger), for example to use at home or at the office. We deliver a power cord with every adapter. Which power cord fits to your power wall? With every adapter, we deliver a power cord. How long would you like those power cords to be? Choose your warranty option here. The Laptop has a flex-resistant plastic chassis. The battery is removeable and can be easily replaced on the road. The bottom of the chassis can easily be screwed on allowing easy access to all installed components and to the cooling system. Secure payment through iDeal, PayPal, Credit Card, Bancontact, Bank transfer, Sofortbanking or another payment method. Always free shipping to the entire European Union with UPS.